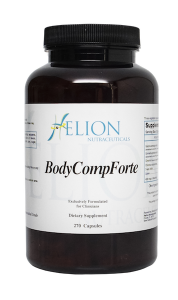 BodyCompForte provides a one of a kind powerful blend of botanical extracts with metabolism boosting hormone support to enhance the bodies ability to reduce body fat storage. The synergistic effect of this proprietary formula ensures healthful blood sugar levels and normalizes appetite. 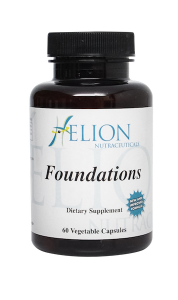 Helion Nutraceuticals recommends (for adults): 9 capusules daily in divided doses; 3 capsules, 3 times a day, 30 to 60 minutes before meals. This 2-part combination array of botanicals and fibers works with the body’s own internal systems to cleanse and detoxify the whole body. This clinical strength formula contains a blend of powerful cleansing herbs and fibers that target specific body parts to stimulate the cleansing and release of toxins trapped in the body while sweeping, toning, and cleansing the digestive and eliminative system. Helion Nutraceuticals recommends (for adults): 1 to 9 tablets of each daily in divided doses; must be taken as part of two product combination. Maintenance: 1 tablet of each formula, 2 to 3 times daily. Therapeutic: 3 tablets of each formula, 2 to 3 times daily. 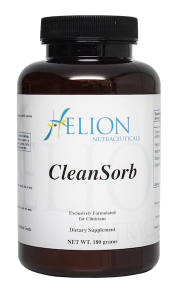 CleanSorb provides a synergistic blend of organic psyllium and purified bentonite clay combined with nutritive and anti-inflammatory botanicals to absorb, bind and facilitate the elimination of toxins from the body. With a binding capacity of over a 100 times its weight, the powder of CleanSorb can support a healthy bowel chemistry, promote reinnoculation of probiotics and neutralize toxins to pass them out with easy to pass bowel movements. 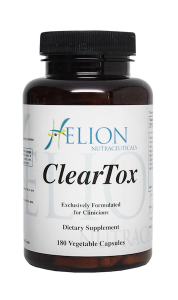 ClearTox contains a synergetic array of clinically proven compounds that assist the body in the clearance of toxins at the cellular level. With primary support to Phase 2 detoxification in the liver, these beneficial compounds aid the structure and function of liver metabolism. Additionally, ClearTox boosts methylation to ensure proper hormonal involvement of tissue repair as well a assisting the removal of waste products secretion via the bowels. 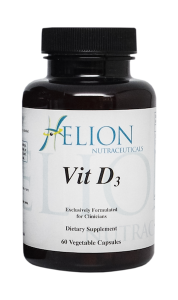 Helion Nutraceuticals recommends (for adults): 3 to 9 capusules daily, in divided doses. Maintenance: 1 capsule, 3 times a day. Therapuetic: 3 capsules, 3 times a day. Food of Life is a powerful array of all certified organic super foods. This blend of easily digested and absorbed nutrient powerhouses provide the best that nature has to offer. Food of Life brings together a spectrum of nutrient sources not otherwise obtained from eating a normal healthful diet. 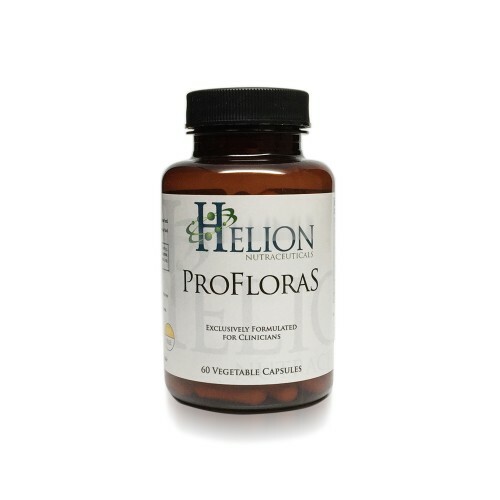 Helion Nutraceuticals recommends (for adults): 3 to 6 capsules daily, in divided doses. 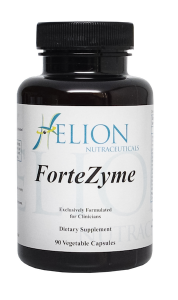 ForteZyme provides digestive and anti-inflammatory support with a broad spectrum of plant based derived enzymes including multiple pH range stable lipase and three proteases that function in different pH ranges. This comprehensive formula supplies a full spectrum of enzymes at therapeutic doses that act on food as well as work systemically to break down all classifications of nutrients and cellular by products. Helion Nutraceuticals recommends (for adults): 1 to 9 capusules daily in divided doses. Maintenance: 1 capsule, 3 times a day with meals. Therapuetic: 3 capsules, 3 times a day on an empty stomach. Foundations™ provides therapeutic doses of nutrients important for optimal cellular function. This formula is specifically designed to activate hormones, cardiovascular function, nervous system, immune function, maintain healthy energy levels and support blood sugar regulation. 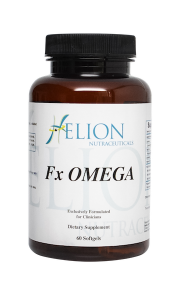 Helion Nutraceuticals recommends (for adults): 1 capsule, 2 times a day with meals. JointMendForte is formulated to repair and comfort sore joints and promote joint flexibility. This power formula helps to maintain the integrity of connective tissue, enhance lubrication and clear localized inflammation that develops due to physical training and aging. 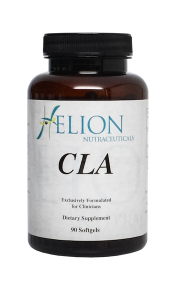 Helion Nutraceuticals recommends (for adults): 3 to 9 capusules daily, in divided doses. 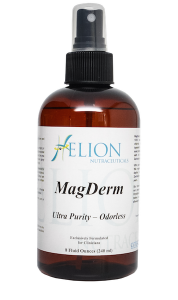 MagDerm provides the highest absorbable form of magnesium via transdermal delivery. Magnesium is essential to life and is a vital component for energy production, hormone balance and immune support. Specially formulated at a high concentration and undergoes a proprietary electromagnetic process to increase its bio-availablity. OsteoMend provides excellent bone health support with microcrystalline hydroxyapatite concentrate (MCHC), a highly absorbable crystalline compound that provides everything found in healthy bones and is backed by more than 30 years of research. MCHC contains naturally occurring minerals, bone growth factors, collagen and other vital bone proteins. This well-rounded formula is designed to support bone mineral density and also features vitamin D for enhanced bone health support. 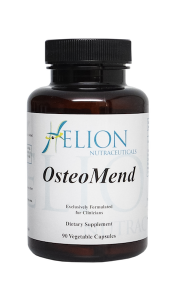 Helion Nutraceuticals recommends (for adults): 1 to 6 capsules daily in divided doses, 30 to 60 minutes before meals. Maintenance: 1 capsule, 3 times a day. Therapeutic: 2 capsules, 3 times a day. ProFloraS provides the best multi-dimensional support for both the upper and lower GI tract for digestive and immune health . This concentrated formula supplies a proprietary blend of 12 beneficial probiotic strains to relieve recurring functional bowel discomforts and intestinal irritation as well a fortify healthy intestinal mucosa that governs immunity and hormonal function. 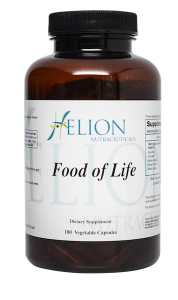 Helion Nutraceuticals recommends (for adults): 1 to 3 capusules daily in divided doses, taken on an empty stomach or with food. Maintenance: 1 capsule daily between meals Therapuetic: post antibiotic treatment or immune support is 2 to 3 capsules a day. 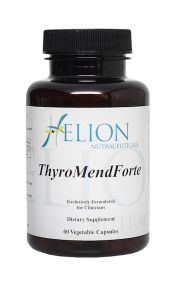 ThyroMendForte is an exciting, multi-faceted formula featuring targeted nutrients that promote proper thyroid function. This formula combines all essential nutrients to support the synthesis of thyroid hormones as well as the expression of receptors and responsive genes related to overall healthy thyroid function. Helion Nutraceuticals recommends (for adults): 1 to 4 capusules daily, in divided doses. Vitamin D3 enhances calcium absorption and retention, a key nutritional role in supporting healthy bones, and may play a potential role in cardiovascular, colon and cellular health. Helion Nutraceuticals recommends (for adults): 1 to 3 capusules daily, in divided doses.